Wire horses in steel and copper at Chelsea flower Show. 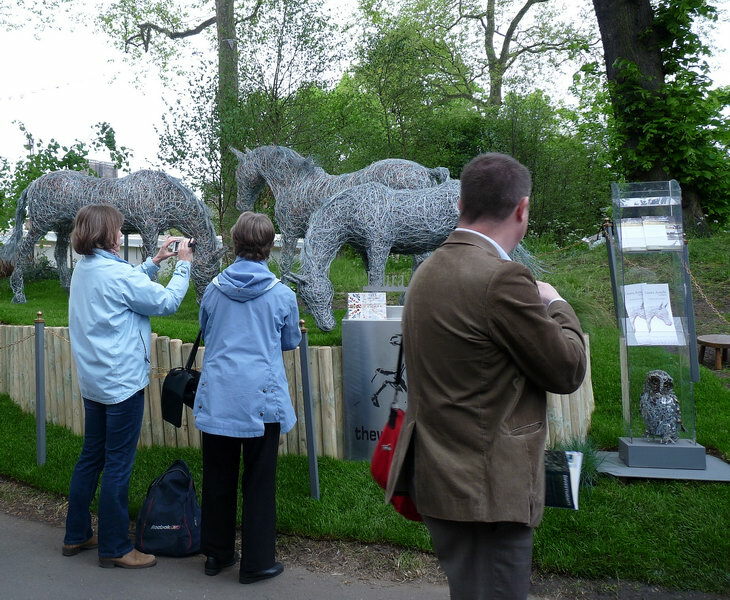 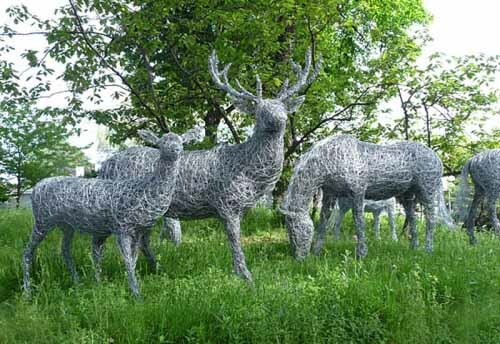 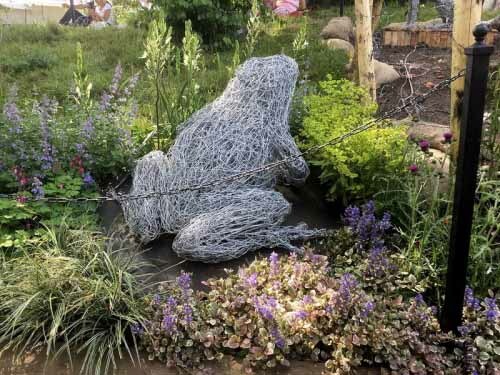 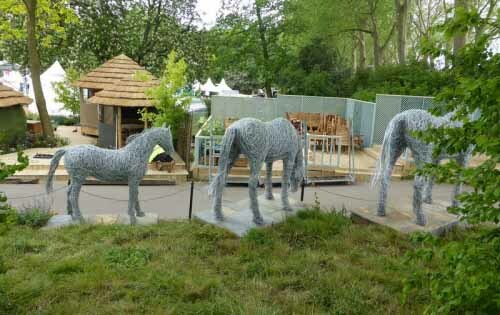 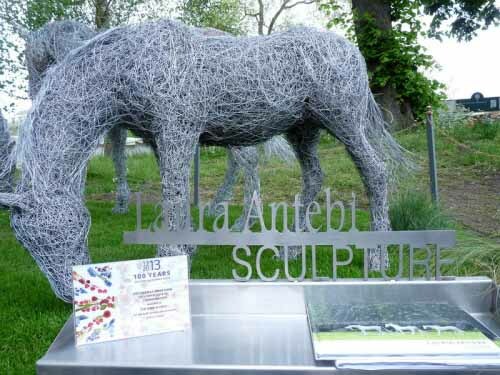 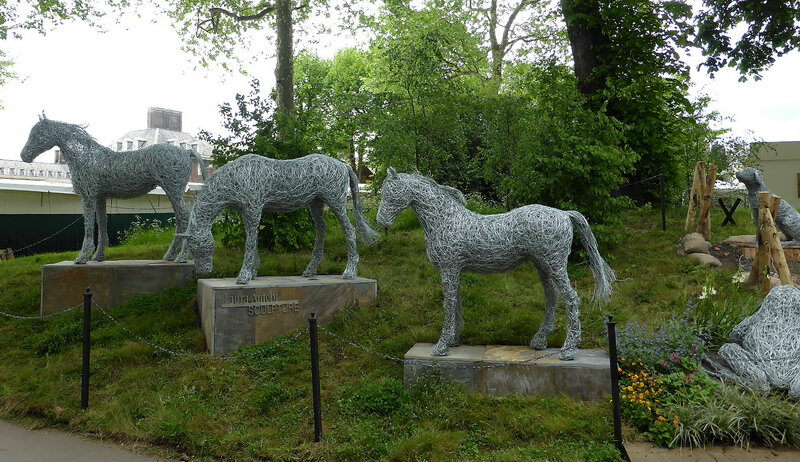 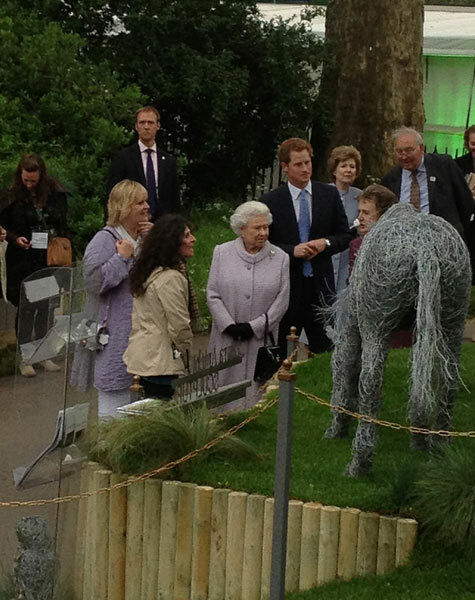 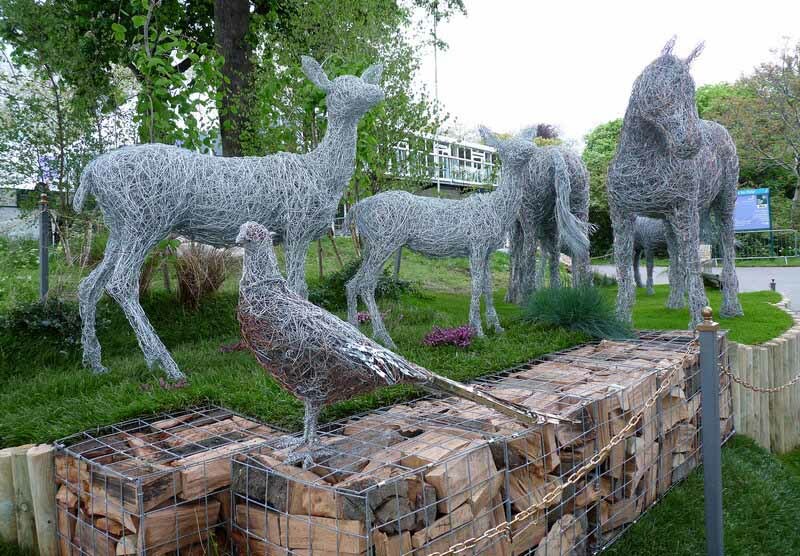 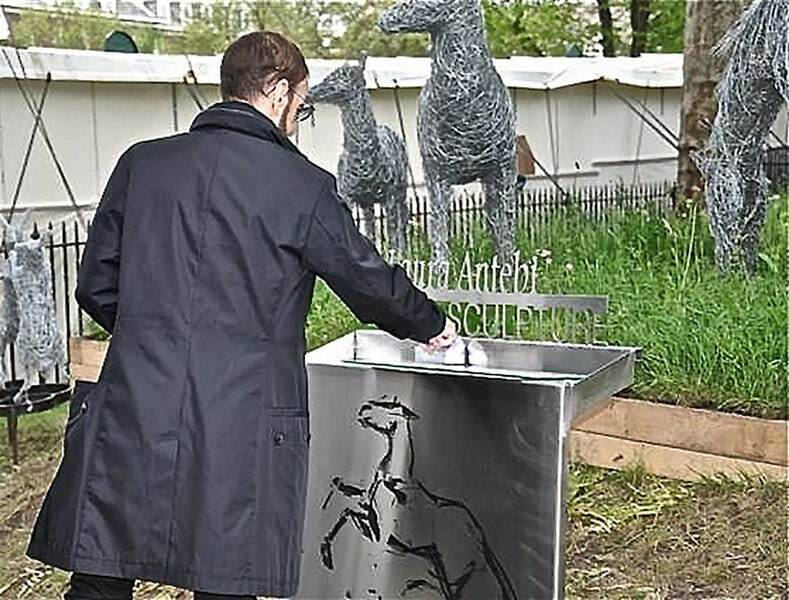 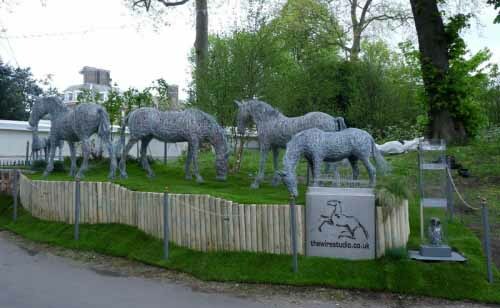 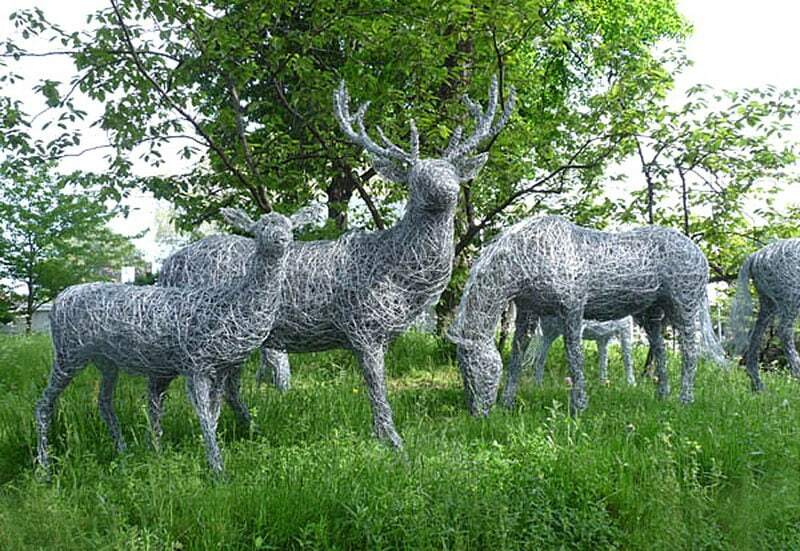 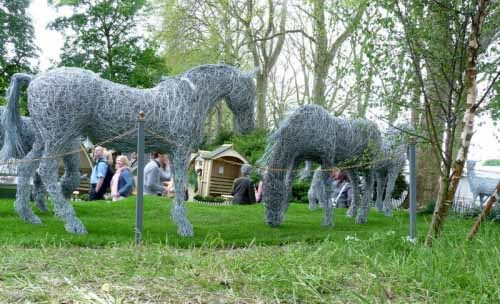 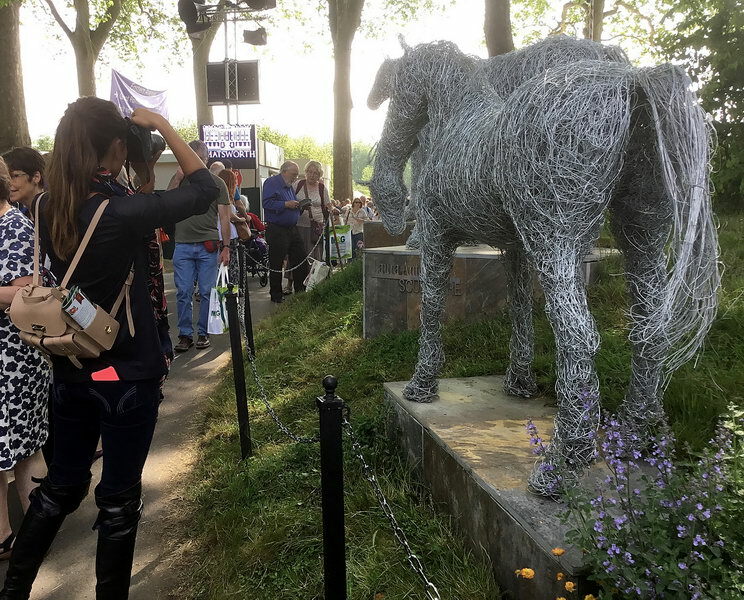 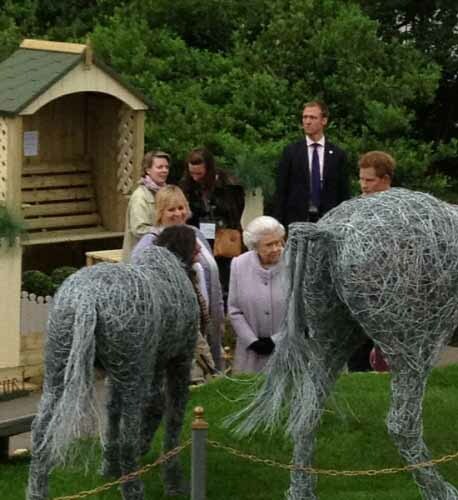 Exhibition of grazing wire horses on the bank at Chelsea Flower Show. Also on display a wire stag, doe and boxing hares on a steel ring. 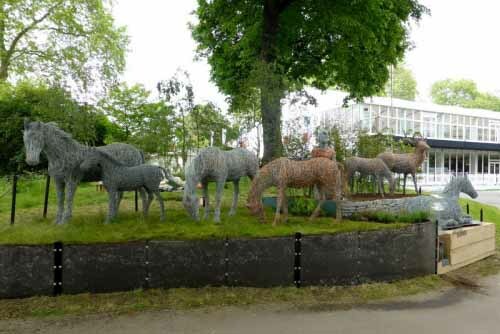 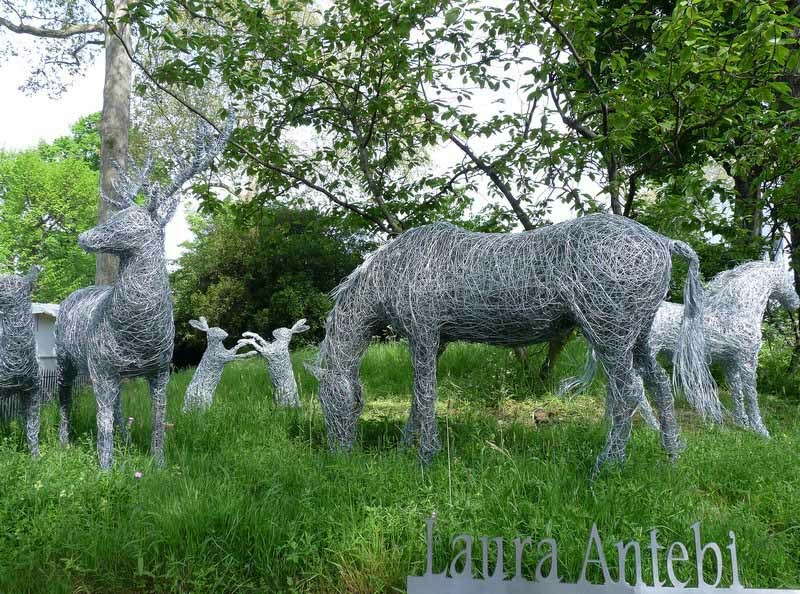 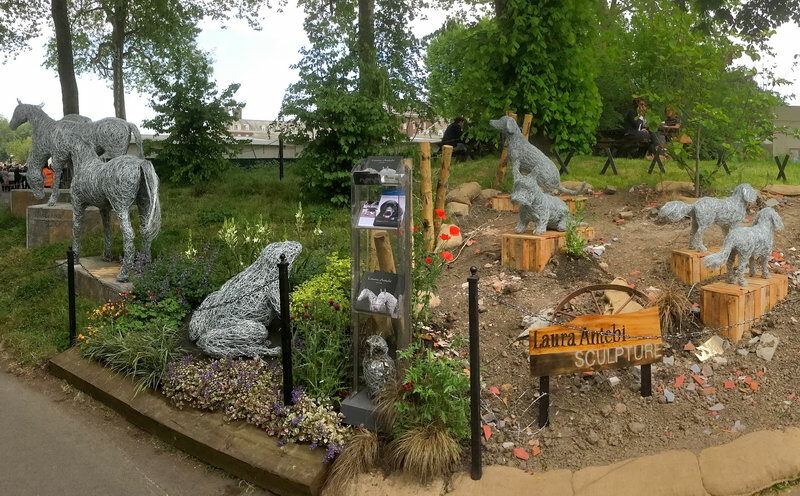 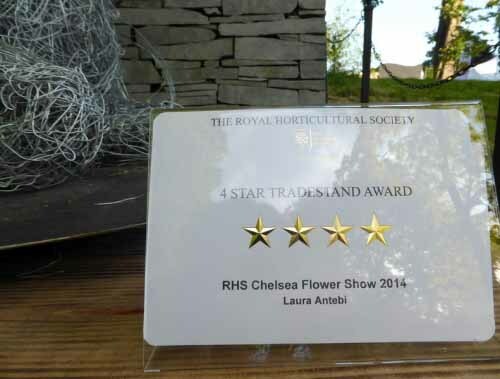 A regular exhibitor at Chelsea Flower Show, Laura’s equine sculptures were given the seal of approval by Her Majesty The Queen, who is known for her love of horses. 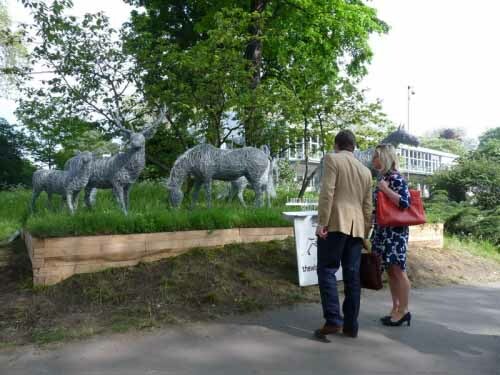 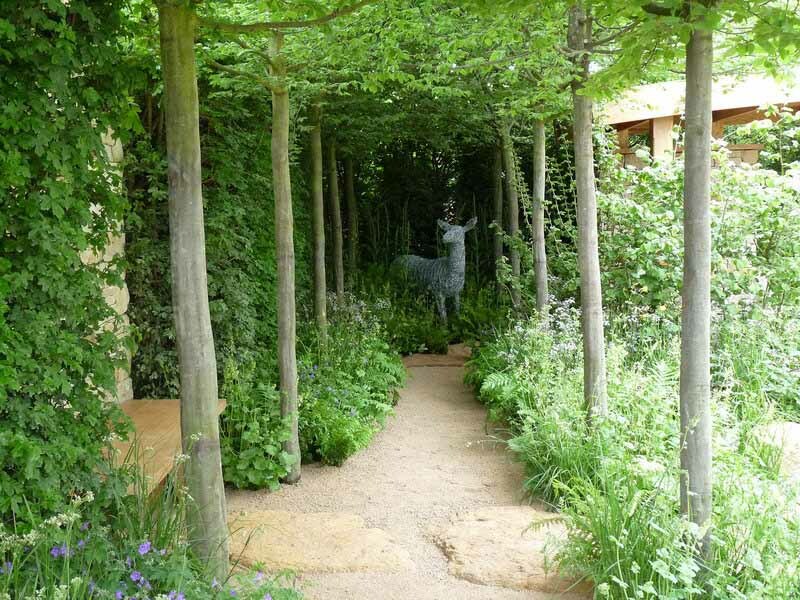 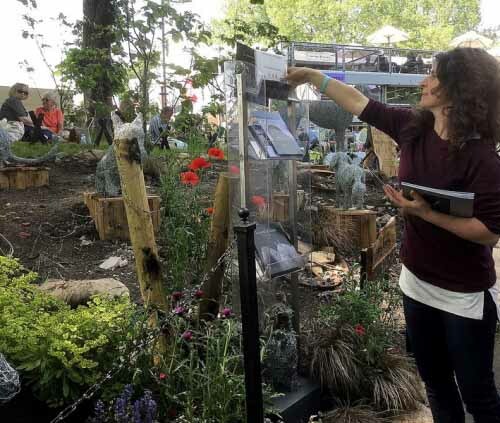 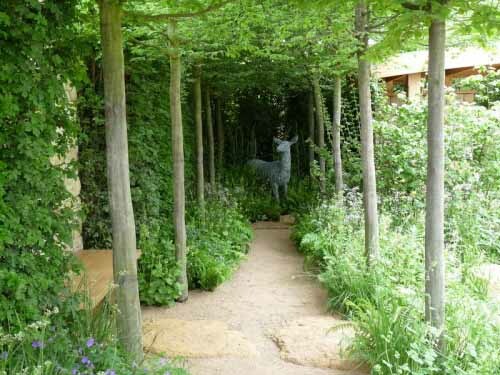 Award winning garden designer Adam Frost commissioned a deer sculpture to feature in his gold medal ‘Land’s End’ show garden dedicated to romantic poet John Clare.